Microsoft has announced “Europe Only” Xbox 360 bundles. The new bundles will be in effect this coming Friday, Nov. 21. 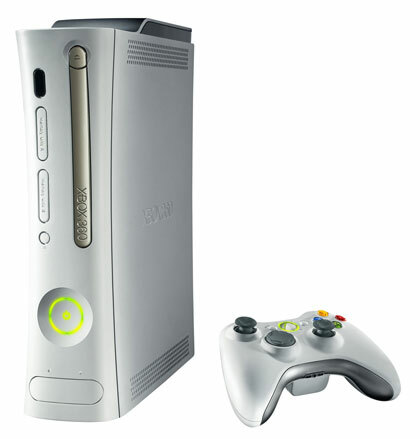 Games bundled with the gaming console include Tomb Raider: Underworld, Call of Duty: World at War, and Lips. Lara Croft is back in action in Tomb Raider: Underworld, and from Friday 21st November, Microsoft will offer everyone’s favourite leading lady’s latest adventure in a great value bundle pack. Designed specifically to take advantage of the latest technologies, Tomb Raider: Underworld represents a new advancement in exploration-based gameplay. As fearless adventurer Lara Croft explore exotic locations around the world, each designed with an incredible attention to detail resulting in breathtaking high-definition visual fidelity that creates a truly believable world and delivers a new level of challenge and choice. Available in the UK, France and Germany, the game will be on sale bundled with the 60GB hard-drive Xbox 360 Pro console at an estimated retail price of €269.99. On Friday 21st November, Microsoft will offer the widely anticipated blockbuster game, Call of Duty®: World at War in an exciting new bundle pack. The latest instalment of Call of Duty completely changes the rules of engagement by redefining WWII gaming and thrusting players into the final tension-filled, unforgiving battles against a new ferocious enemy in the most dangerous and suspenseful action ever seen in WWII. Available in Spain, Italy, the Nordics, the Netherlands, Hungary, Switzerland, Russia, Greece, Czech Republic, Poland, Portugal and Ireland, the game will be on sale bundled with the 60GB hard-drive Xbox 360 Pro console at an estimated retail price of €269.99. For all shower singers, wanna-be rappers, living room superstars and bedroom belters, Lips, the highly anticipated singing party game will be hitting stores from 21st November in a great value bundle from launch. 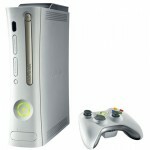 Xbox 360 takes to a whole new stage with Lips, an all-new music franchise exclusively for the console. Start channelling your favourite pop star because it’s you, your friends, and your music that makes this the ultimate party experience this holiday. Lips is the only music video game that comes with two wireless motion-sensitive microphones, allowing you the freedom to put your own spin on a song as you free-wheel across your living room. This great value entertainment bundle will be available in Spain, Italy, the Nordics, the Netherlands, Austria, Hungary, Switzerland, Russia, South Africa, Belgium, Greece, Czech Republic, Portugal and Ireland, offering the game and 60GB hard-drive Xbox 360 Pro console at an estimated retail price of €209.99. Next Next post: Are HDTVs bad for the environment?